The exhibition ‘Monica Mason: A Life With The Royal Ballet‘ opened in February, but only last week did I see it properly – at a private view, which also happily involved some speeches and a party with a lot of old friends and colleagues of Monica Mason. A privilege to be there and nice to have free run of the house and the time to stand and stare at some scrummy pictures, costumes and memorabilia. There is an excellent Trail Guide (trail guide pdf) to the Exhibition, curated by the ROH Collections department (can’t talk them up enough), and the press release given below gives the background also, so I wanted to record briefly the event and my own feelings in wandering around. 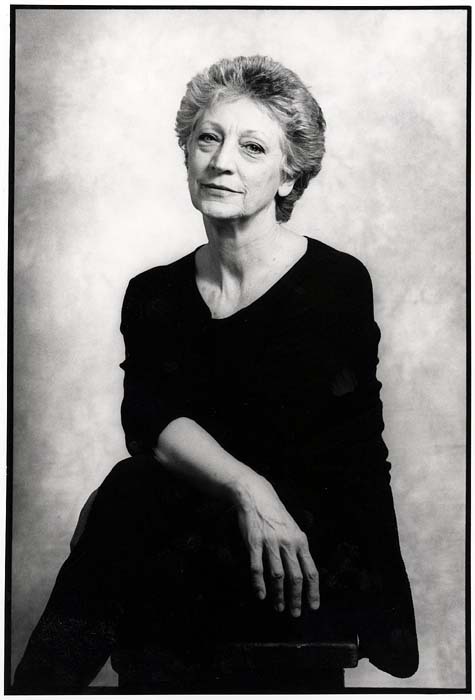 While I suppose many of us have come to sum up Monica Mason by what she has done as Director of the company these last 10 years, it was Tony Hall’s speech that really punched home her deeper significance: she is now 70 and for only 15 years of her life has she not been part of The Royal Ballet. It’s been a lifetime of love and commitment and I don’t think any other director in the world can have such a history of unbroken loyalty and tireless devotion to a single company. Charting that lifetime I think is best seen in the pictures up at Amphitheatre level and the intensity of her gaze, even from the earliest days, marked her out as someone very special – as Kenneth MacMillan noted, she was a dancer of “tremendous power, rare in English dancers who tend to be more elegant and refined…” I never saw Mason dance in her prime – only as Carabosse in Sleeping Beauty, but what scary and chilly performances they were and we soon learnt to book for nights when she was on, totally regardless of the rest of the casting. Most of the pictures up in the Amphitheatre are black and white and they really bring out both her own power and the power of expressive movement – the inclusion of a few recent colour pictures really shows that photographic progress is not always flattering to the theatre. 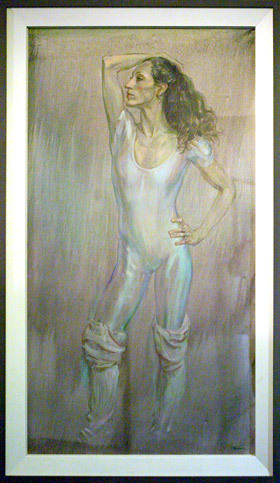 Not so paintings, and June Mendoza’s full-height rendition of Mason at the end of her mainstream dancing career in the early 1980’s shows a gypsy of a woman with flowing curly locks, powerful and proud. 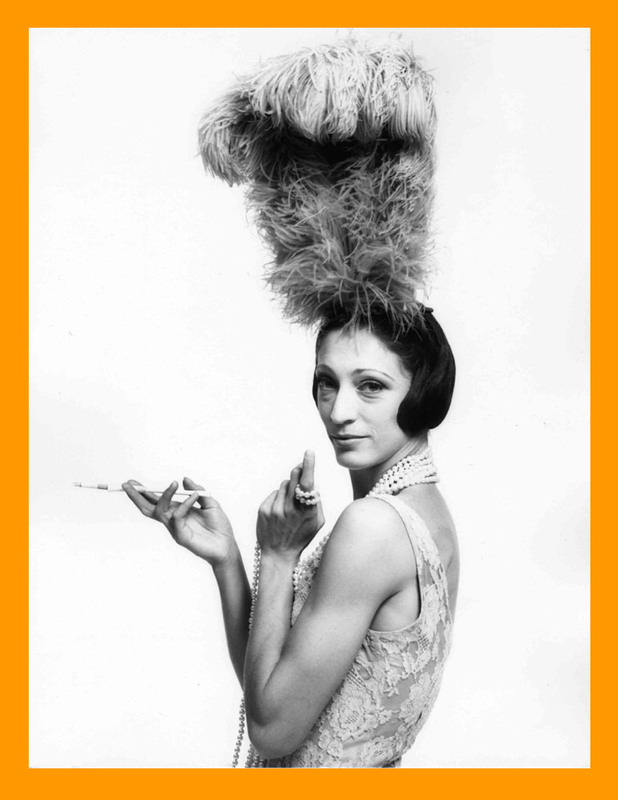 Elsewhere you can see costumes and newspaper cuttings lovingly collected by her mother, all of which jolt the mind about her achievements in the company when it was breaking new ground, but it’s those black and white images that speak out. What’s more they can be seen for free anytime you are at the Royal Opera House. So do make a date with yourself, turn up early, see them, and be reminded of one of the true greats of the company doing her powerful thing on stage. More details below and also on the ROH site.